Our indoor inflatable playground makes everyday feel like your birthday! 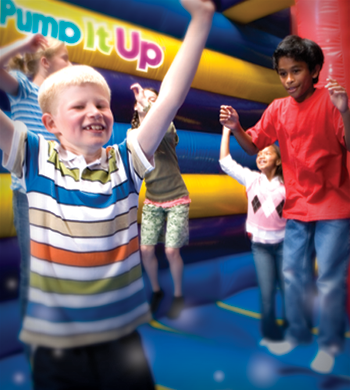 We have Open Jump throughout the week, so check out our Events Calendar to find out all the ways your kids can come unleash the fun at the best play place around! Please check Event Calendar for Schedule. $10.00 +tax per child. Parents play FREE. Please remember to bring SOCKS.